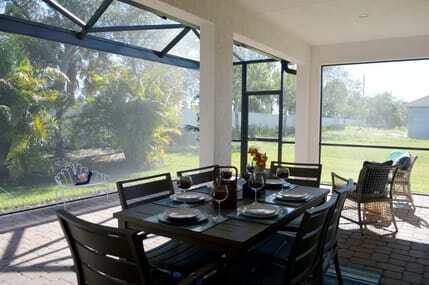 The Porch Factory has been installing screened enclosures and repairing screens in homes for over 10 years. In addition to patio and pool screens we offer patio extensions, glass enclosures, front entry ways, railing, re-screen and repairs. The proprietors of The Porch Factory have lived on the Treasure Coast for over 24 years. Unlike other screen enclosure companies that repair screens on The Treasure Coast only after a hurricane has passed, this is our home and we’re not going anywhere! 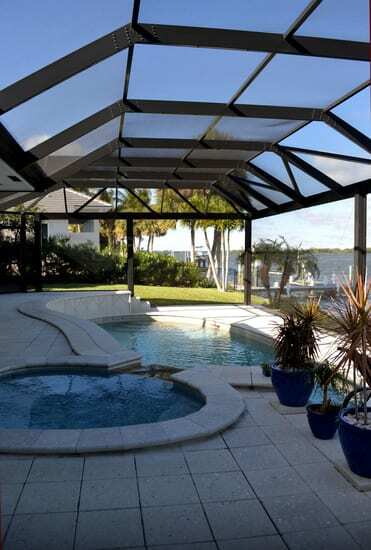 We have a 7,500 square foot facility located in the heart of the Fort Pierce which allows us to fabricate screen enclosures in house and provide patio and pool screening service to a broad area. At The Porch Factory, we believe that the best way to provide excellent customer service is to reinvest in all of our employees and afford them with continuing education and training in new and advanced screen enclosure products. This continuing education helps us maintain being a state of the art company, repairing and installing screen enclosures, especially for the weather conditions in the state of Florida. All of our employees pass a comprehensive background check and we maintain a drug free work environment. The Porch Factory constructs top quality pool enclosures, patio enclosures and replacement screens. We design, manufacture and build each enclosure in glass or screen, to meet your unique home requirements with an elegance that not only fits your style, but with a screen or glass enclosure that fits the style of your home. We pride ourselves on delivering a great customer experience from start to finish leaving your home with added value and a stylish outdoor living space. We offer free consultations, have a strong commitment to deliver to you a variety of screened patio options with complete satisfaction. Expect quotes to be delivered within days and your new patio screen work to be completed within weeks while repairs, even faster! Only a 20% deposit is required when you are ready to begin your screen or patio enclosure project. Whether your home has a small porch repair or need a large pool screen enclosure, we have the employees and materials to handle any size job. You’ll know that we are the right choice for your project once you meet with our trained experts. We are the leaders in design trends on the Treasure Coast. Enjoy the view with less obstruction. The new picture windows give much better views so you can enjoy the outdoors.